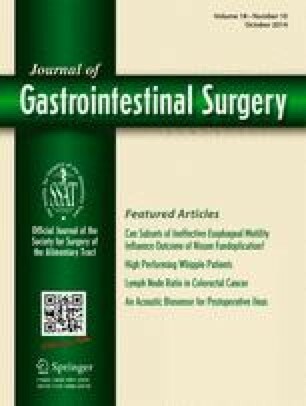 Despite the decreasing mortality of pancreaticoduodenectomy (PD), it continues to be associated with prolonged length of postoperative hospital stay (LOS). This study aimed to determine factors that could predict short LOS after PD. Additionally, as preliminary data of minimally invasive PD emerges, we sought to determine the average LOS after open PD at a high-volume center to set a standard to which minimally invasive PD can be compared. A total of 634 consecutive patients who underwent open PD between January 2007 and December 2012 at the Massachusetts General Hospital comprised the study cohort. “High performers” were defined as patients with postoperative LOS ≤5 days. Median LOS was 7 days. A total of 61 patients (9.6 %) had LOS ≤5 days and were deemed “high performing.” In multivariate logistic regression analysis, male gender (p = 0.032), neoadjuvant chemoradiation (p = 0.001), epidural success (p = 0.019), epidural duration ≤3 days (p = 0.001), lack of complications (p < 0.001), surgery on Thursday or Friday (p = 0.001), and discharge on Monday through Wednesday (p < 0.001) were independently associated with LOS ≤5 days. Readmission rate, time to readmission, and mortality were not different between the two groups. The proportion of patients with pancreatic ductal adenocarcinoma who went on to receive adjuvant therapy was no different if LOS was ≤5 or >5 days, but high performance was predictive of beginning therapy <8 weeks after surgery (p = 0.010). In our experience, median LOS was 7 days, and early discharge (≤5 days) after open PD is safe and feasible in about 10 % of patients. These high performers are more likely to be male, have received neoadjuvant therapy, and had successful epidural analgesia. High performers with cancer are more likely to start chemotherapy <8 weeks after surgery. Minimally invasive PD should be compared to this high standard for median LOS, among other quality metrics, to justify its increased cost, operative duration, and learning curve.